15 Smith Street was acquired as part of a short sale transaction in February 2015. The lot displayed a 1930’s ranch house on a quarter acre parcel of land when it was acquired. The previous owner had obtained approval to demolish the house and CKC determined that the lot would allow for 4 units. The location, just a block away from Colonial Lake in the Harleston Village Neighborhood, helped solidify confidence in the acquisition. The Smith Street Lofts was design for 2 structures to accommodate the 4 units. The structures followed historic standards of maintaining a subordinate structure in the rear of the front structure. Therefore, the front structure accommodates two 4-bedroom 4.5 bathroom units while the rear structure includes two 3-bedroom 2-bathroom units. The front house is designed as a modern interpretation of a Charleston single house while the rear house resembles a carriage house. The use of brick and cementitious lap siding with some wrought iron and stained wood accents creates a rustic look to this modern design. During the construction CKC first demolished the existing house and filled in the existing pool to set up the site. The site had poor soil thus require deep foundations. CKC tackled this issue using helical piles that reached 75’ in depth at every 8’ of footing. The construction design considers maintenance free construction practices. Each house has a solid raised slab foundation to protect against crawl space mold and moisture issues. The first finished floor is raised well above flood level and all the materials used were mold and rot resistant. The first floor displays an unheated loggia area that provide space for storage and activities. The multiple cypress stained barn doors provide a rustic feel in the open-air space. The remainder of the façade consists of brick and cementitious siding. 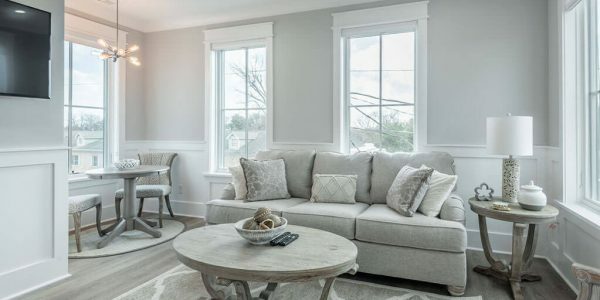 The project was finished on time and under budget and remains an attractive in-fill housing development in the Harleston Village neighborhood. 2 Bedrooms; 2 Bathrooms Sleeps 6 Rates vary based on reservation date Come and enjoy a relaxing getaway in this brand new two-bedroom suite located in the luxurious Sanctuary Court community, right in the heart ..
High Tides at Folly Beach- 316 East Hudson Ave.
4 Bedrooms; 3 ½ Bathrooms Sleeps 10 Rates vary based on reservation date This newly-constructed vacation rental is conveniently located just a few short blocks from both Folly Beach and Center Street. With 2,600 square ..
$4800/unit 15 Smith Street Lofts, units A & B are part of a newly constructed development one block from Colonial Lake; ½ mile from the College of Charleston and less than 1 mile from the ..
$3,400/unit 15 Smith Street Lofts, units C & D are part of a newly constructed development one block from Colonial Lake; ½ mile to the College of Charleston and less than 1 mile to the .. This property is conveniently located in close proximity to both College of Charleston and the Medical University of South Carolina in the heart of downtown Charleston. With spacious bedrooms and private baths this is an .. This property is located in close proximity to both College of Charleston and the Medical University of South Carolina in the heart of downtown Charleston. With spacious bedrooms and private bathrooms this is an ideal .. 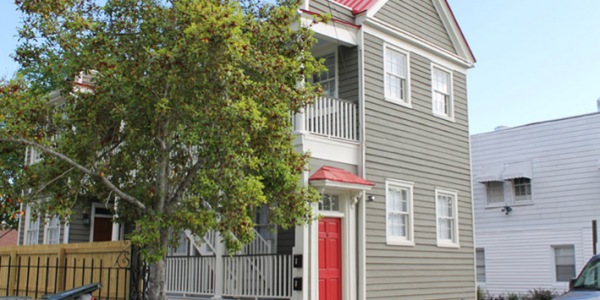 This newly constructed tri-plex is conveniently located in downtown Charleston within walking distance to both the College of Charleston and the Medical University of South Carolina. These units contain 4-bedrooms and 4-bathrooms with a large .. This newly constructed tri-plex is conveniently located in downtown Charleston within walking distance to both College of Charleston and the Medical University of South Carolina. This unit contains 1-bedroom and 1-bathroom with a kitchen/living area. 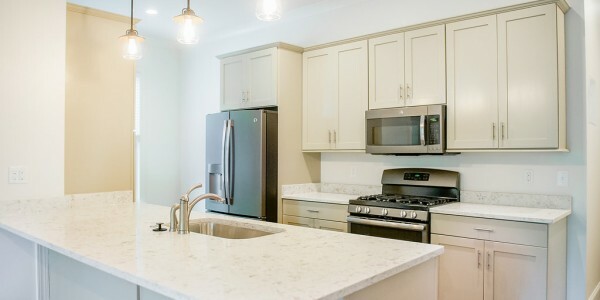 ..
4 bedrooms, 4 baths Full Kitchen Rates vary based on date of stay Experience a vacation rental unlike any other in The Chapel Lofts at 221 Ashley Avenue! Our guests will have the option to ..
6 Radcliffe Street is a premier downtown Charleston rental property. Located in the heart of Upper King Street in close proximity to both College of Charleston and the Medical University of South Carolina (MUSC) with ..
247 Rutledge Avenue is a construction project that is took place on a vacant piece of land on the corner of Rutledge Avenue and Bogard Street. 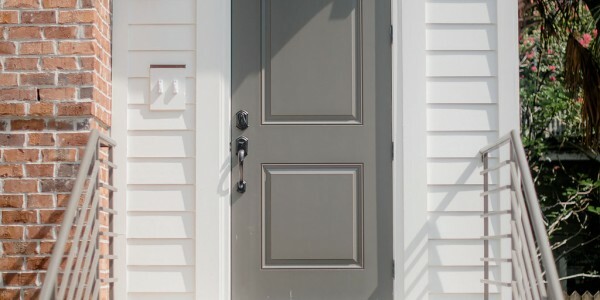 The finished project consists of a Duplex with a .. This project consisted of a historic renovation of a 1920′s duplex house and an urban infill new construction tri-plex. 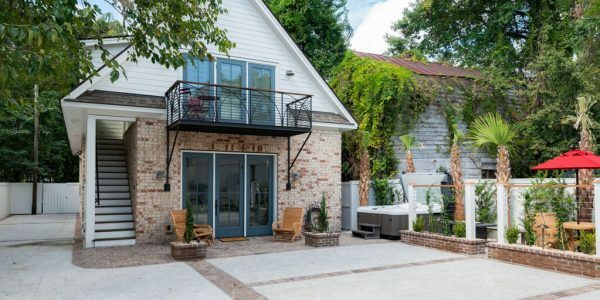 As a part of this renovation, the many historic attributes were treated with sensitivity and resulted ..
67 Nassau Street was a vacant lot in the East Side of downtown Charleston. This lot was originally acquired with the intention to construct a large single-family rental home upon. However, an interested buyer, Nancy .. The Acquisition: 221 Ashley Avenue was a bank owned property when CKC Properties acquired the land in 2012. There had previously been a wedding chapel at this location and after doing a brief review of ..
Brief History of the Property: 6 Radcliffe Street is comprised of a parcel that is 30 feet in width along the Radcliffe Street frontage and extends back 104 feet to the rear of the lot. .. This new modern architecture themed house provides a contemporary addition to the neighborhood with its white brick, stained cypress, aluminum clad and copper roof/reveals. 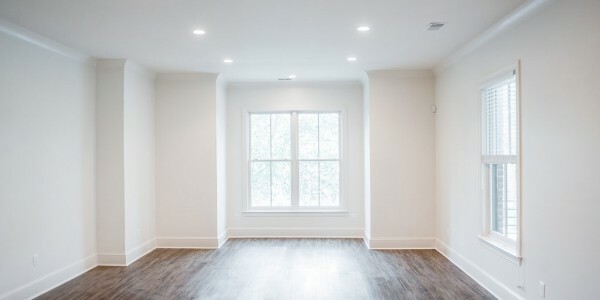 It includes high-end flooring, tile, and cabinets and a brand new ..
5 Bedrooms; 4 ½ Bathrooms Sleeps 12 (minimum of 2 night stay) $800/night The Chapel Loft is located in the Cannonborough-Elliotborough neighborhood in historic downtown Charleston and the heart of the wedding district. The spacious ..